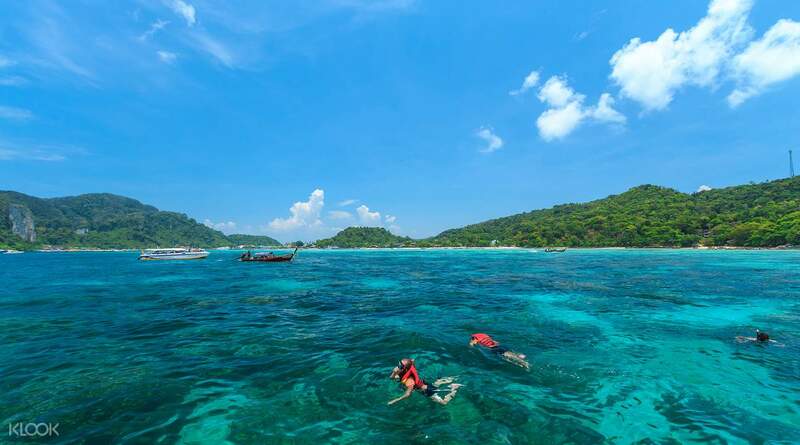 Discover the beauty of Koh Phi Phi's famous spots with this full or half day snorkeling tour. 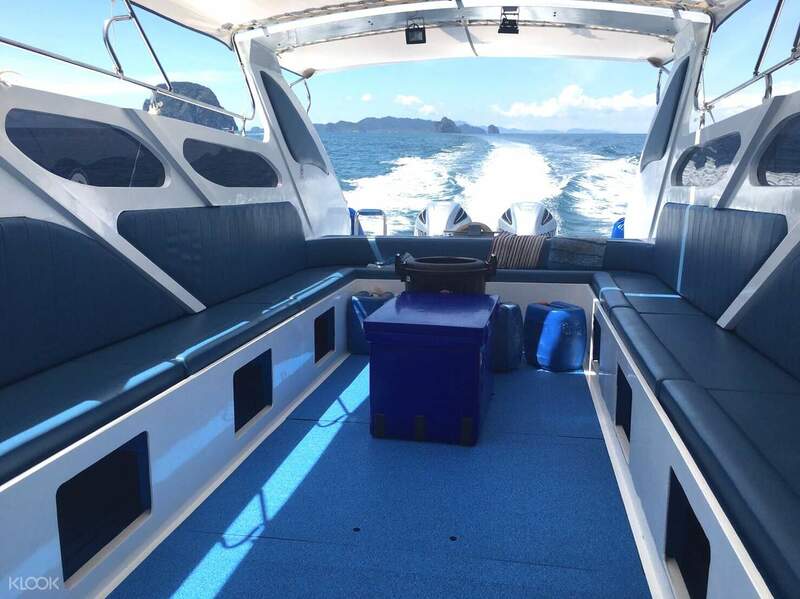 Meet up with your guide at the gathering location, and then head straight for the bay, where your modern and comfortable speedboat is waiting. 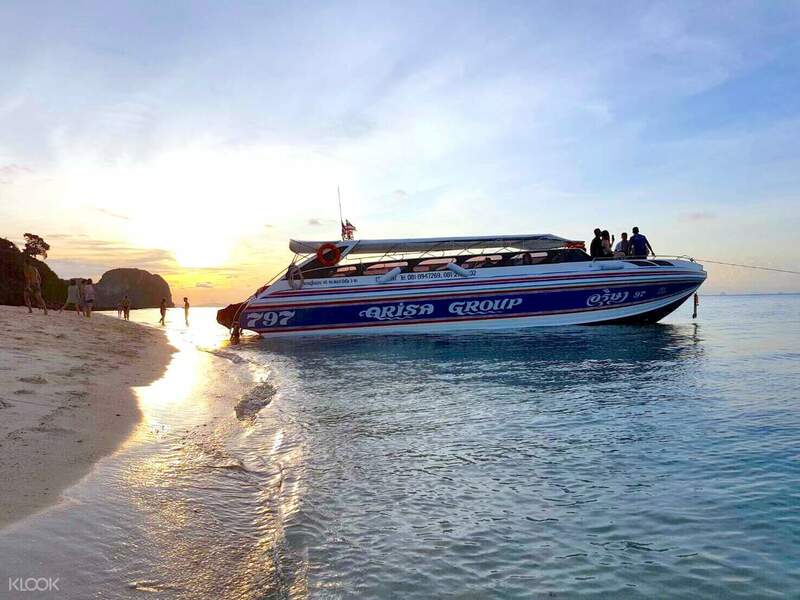 For the half day tour, enjoy 5 hours out on the open seas, discovering some of the spots in Koh Phi Phi like Shark Point, Monkey Beach, Pi-Leh Bay, Maya Bay, and Loh Samah Bay - each stop famous for their crystal clear waters, fantastic beaches, and interesting marine life. Pro tip: before jumping in the waters of Shark Point, you might want to ask why it was named so. The half day tour is short and sweet, perfect for those who don't have enough time on their hands but want to see the beauty of the islands! On the other hand, the full day tour takes you to the same spots, and more! 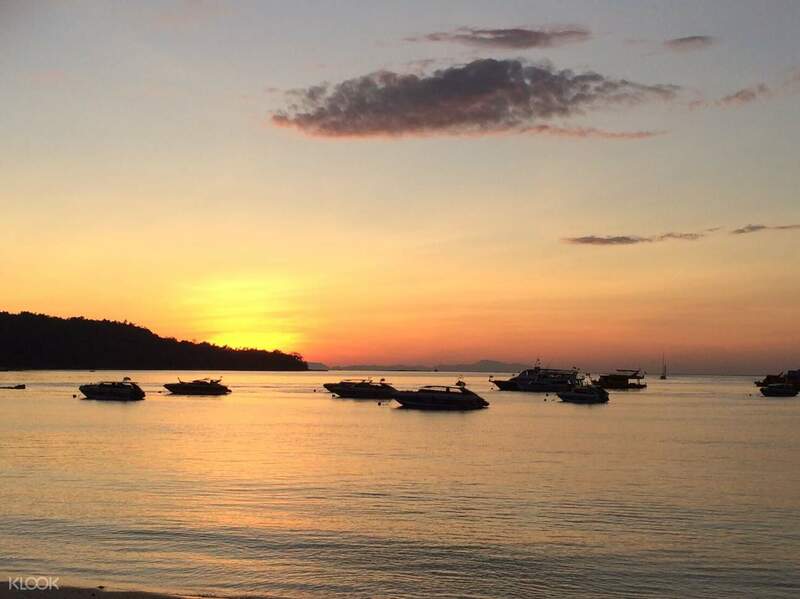 Get some free time to relax on several islands like Bamboo Island, Mosquito Island and Hin Klang. Enjoy a delicious lunch while strolling along the beach. Both tours end with a relaxing cruise back to the pier just in time to catch the breathtaking sunset. A full day trip was awesome. Thanks to all crew members.. a pilot, a guide lady, and two life-guards.. all were highly trained and very friendly.. Foods and fruits were very nice, and suitable for all.. . Enjoyed every bit of everything.. Tips- 1. They provide snorkeling mask to all, and swim-jacket (for naive/non swimmers) I will recommend to carry your own full face snorkeling mask ( specially for kids). 2. They allow at least 3 hours on different sand beaches, carry some towel, and bed sheet for beach. A full day trip was awesome. Thanks to all crew members.. a pilot, a guide lady, and two life-guards.. all were highly trained and very friendly.. Foods and fruits were very nice, and suitable for all.. . Enjoyed every bit of everything.. Tips- 1. They provide snorkeling mask to all, and swim-jacket (for naive/non swimmers) I will recommend to carry your own full face snorkeling mask ( specially for kids). 2. They allow at least 3 hours on different sand beaches, carry some towel, and bed sheet for beach. The tour was good. Staff were really helpful. They provided us with water, coke, watermelon and pineapple. The trip was on time. All the islands were very beautiful. Snorkelling gears provided were good. And should report at the specified location half an hour before the departure. The tour was good. Staff were really helpful. They provided us with water, coke, watermelon and pineapple. The trip was on time. All the islands were very beautiful. Snorkelling gears provided were good. And should report at the specified location half an hour before the departure. Awesome tour, helpful staff and great places for snorkelling.. The gears provided were also good. Fruits were served in the evening. Awesome tour, helpful staff and great places for snorkelling.. The gears provided were also good. Fruits were served in the evening. it was a amazing experienced..the guides are so helpful in our needs especially in snorkeling.. it was a amazing experienced..the guides are so helpful in our needs especially in snorkeling.. The beach so beautiful and I love it. Will come back here again. The beach so beautiful and I love it. Will come back here again. We loved this tour as it showed us many things all in one day with a mix of beach time, swimming, and snorkelling. The guides were very professional and ensured that everyone was safe and even snorkeled with us in the water to show us things! We saw many fish, coral, and sharks when snorkelling. I would recommend this to anyone looking for adventures away from Phi Phi for a day and people who are comfortable swimming. We loved this tour as it showed us many things all in one day with a mix of beach time, swimming, and snorkelling. The guides were very professional and ensured that everyone was safe and even snorkeled with us in the water to show us things! We saw many fish, coral, and sharks when snorkelling. I would recommend this to anyone looking for adventures away from Phi Phi for a day and people who are comfortable swimming.